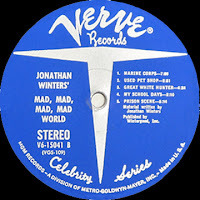 Jonathan's 6th LP on the Verve label. 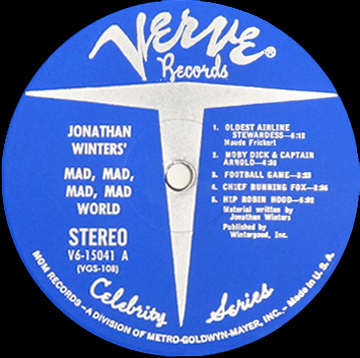 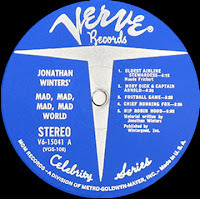 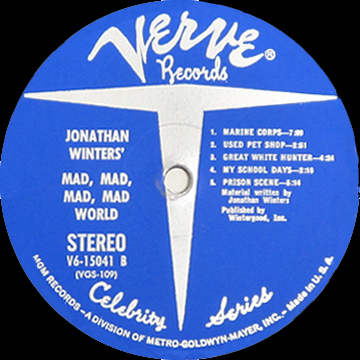 The recordings contained in this album were previously released on the following Verve albums: V6-15009 (The Wonderful World of Jonathan Winters), V-15011 (Down To Earth), V6-15025 (Here's Jonathan), V-15032 (Another Day Another World), and V-15035 (Humor Seen Through the Eyes of Jonathan Winters). 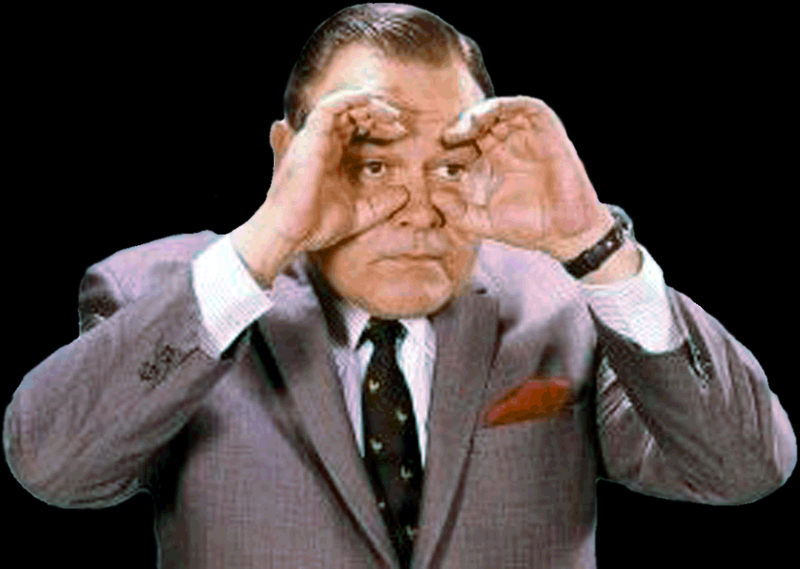 Thanks Harry Speakup & PCThunderfoot! 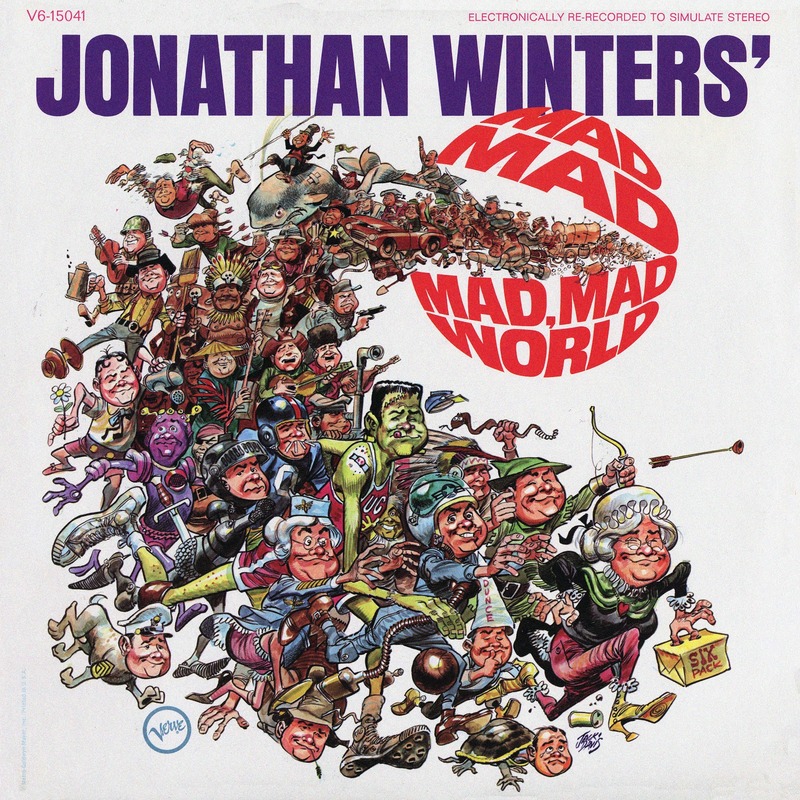 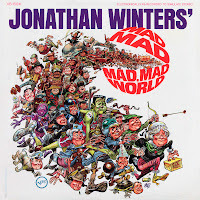 0 comments on "Jonathan Winters - Jonathan Winters Mad, Mad, Mad, Mad World 1963"